The Reds stepped out with revenge on their minds for the start of 2014 as they aimed to get the better of Hull and put the defeat at the start December behind them. With Daniel Agger and Luis Suarez on the score sheet Liverpool need not have worried about a repeat performance from Hull who looked a shadow of the side that turned out against Brendan Rodgers' team a month ago. Liverpool's first half consisted of calm and confident football which was a real positive considering the injuries and players out of position that the Reds have been contending with. It was Liverpool creating the lion's share of the chances in the first half and as always it was the familiar faces of Suarez, Sterling, Coutinho and Henderson getting involved. Suarez also saw an early header disallowed as he was offside. Liverpool welcome Southampton to Anfield on Saturday as the Reds look to continue their almost perfect start to the Premier League season. The 2-2 draw with Swansea on Monday night has been judged as a failure by some Liverpool fans but with Brendan's side still perched nicely at the top of the league, Liverpool still have destiny in their own hands at this early stage of the season. Injuries for Liverpool have been troublesome this week after Philippe Coutinho had to undergo shoulder surgery, he won't be back in the squad until late October. Also still out long term are Glen Johnson, Sebastian Coates and Aly Cissokho. Daniel Agger on the other hand is expected to be available after that "freak gym accident" and of course Luis Suarez is anxiously awaiting his return which will come against Manchester United in the League Cup midweek. After a rather dire Merseyside derby last weekend Liverpool will be looking to put in a good performance in their clash with Fulham on Sunday. As the penultimate game it's clear that the Reds have underachieved this season and that's mainly down to their inconsistency With Gerrard and Agger both missing on Sunday too it will prove a difficult task to secure a win against Fulham at the cottage. Injuries for Liverpool are still pretty much the same with the two lads mentioned above also missing out and obviously Luis Suarez isn't available. For Fulham they have had some good news with Riether and Petric back from injury, they are without Steve Sidwell who is serving a ban. Fulham are currently 12th in the league on 40 points whilst Liverpool are in 7th on 55 chasing after Everton's almost unassailable 60 points. Well it was a rather dire 90 minutes to endure for anyone sitting at Anfield on Sunday as Liverpool failed to find the back of the net and West Ham put everyone behind the ball hoping for a break. If anything this game proved that the Reds have no real plan B when a side faces them and plays the long ball, similar to Stoke, we appear to struggle to take anything from the game and just can't break through. Brendan started a strong side with Suarez leading the line, Sturridge had to start from the bench although he featured early on after replacing Stewart Downing. Coutniho and Suarez were the most lively in Red shirts and a very early chance from Phillipe forced Jaaskelainen into a save. At 25 minutes Daniel Sturridge was brought into play and it was soon clear Liverpool would need all the firepower they could get if they were going to find a way through the West Ham defence. Liverpool are off down south on Saturday to face Pochettino's Southampton side. The Reds are heading into this game on the back of 3 wins in the league and if Southampton want to bolster their hopes of keeping out of the relegation zone they are going to need to put in a very good performance. Southampton are currently placed in 16th just a point away from the drop zone whilst Liverpool find themselves in 6th place on 45 points. It's a long shot but the Reds are still mathematically involved in the race for 4th and so Liverpool will relish the chance at picking up another 3 points on Saturday. Injuries for Liverpool mean that there is still a doubt hanging over Pepe Reina and so we could see Brad Jones between the sticks again. Southampton have no real injury worries at all and Pochettino has a full side to choose from. Liverpool bagged themselves all three points in a confident win at Loftus Road on Sunday. Manager Brendan Rodgers was absent through illness but it didn't matter because the Reds had all bases covered and thanks to Luis Suarez and Daniel Agger they found the back of the net thrice. It didn't take Liverpool long to get off the mark after a lively start. Luis Suarez with another one of his famous attacks in the box put the Reds ahead after taking on the QPR defence and finishing confidently. The early goal was a blessing for Liverpool but they needed to ensure they used it to their advantage and didn't lose their lead so quickly as they did against Stoke. Luckily for Liverpool, Luis Suarez was in one of his moods and when the Uruguayan is on form, the Reds are very dangerous. This time Suarez came into the box from an angle, his attempt at a cross was deflected back to him and he smashed the ball home high into the goal. It's an early kick off for Liverpool on Thursday evening as they prepare to face Italian's Udinese. The Reds need a win to secure their progression through to the knockout stages of the Europa League but a draw may be ok if Anzhi draw with Young Boys, if Liverpool lose, they are out. Left at home are Steven Gerrard, Daniel Agger and Lucas Leiva which causes some concern for me but the positive for Liverpool is that due to Luis Suarez being suspended from the weekend tie with West Ham, he can play for the full 90 minutes against Udinese. Udinese themselves have no fresh injury worries and Pinzi is also back for them. Udinese are unable to make it through to the knockout stages and so some would feel they may use this game as a run out for their fringe players but even so, the Italian's will not want to lose at home to a side like Liverpool, pride is very much at stake. 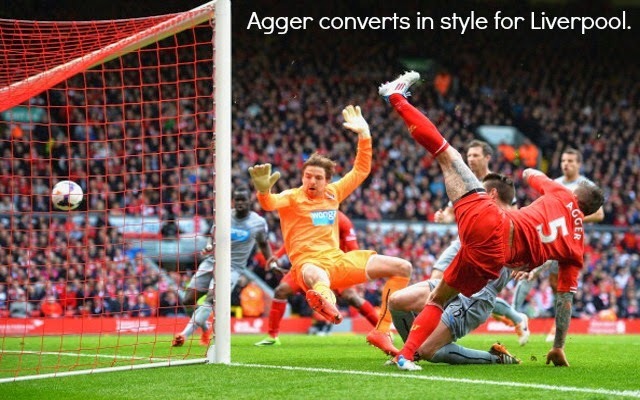 Liverpool notched up a 1-0 win over Southampton at Anfield on Saturday with defender Daniel Agger heading home in the first half for the Reds. It was an improved performance from Liverpool and whilst finishing still could have been better there were plenty more chances than there have been of late. Starting for Liverpool was Lucas Leiva, a real staple for the side in most people's eyes he retained his old position in the centre of midfield allowing Steven Gerrard a lot more freedom. Up front for Liverpool was Suarez as always whilst Southampton had the rather dangerous Rickie Lambert leading their attack. Brendan Rodgers went for a very strong XI against Guus Hiddink's Anzhi on Thursday night after many expected a weakened side. The only real fringe players were Brad Jones in goal and Stewart Downing who would end up proving he still has at least something left in his locker. Anzhi's megabucks line up consisted of Samba, Zhirkov and Eto'o but it was evident from the whistle that the Russian's plans were to get the ball to the latter and hope for the best. Liverpool started confidently and were strong in keeping the ball. Possession is obviously very close to Brendan's heart and I think the majority of Thursday evenings performance backed up that mentality. Game stats did finish at exactly 50/50 in possession though. The Reds first real chance fell to Jonjo Shelvey but he couldn't quite convert his effort into a lead for Liverpool. It was safe to say from the tone set though that the Anzhi keeper would have a lot coming his way throughout this 90 minutes. Liverpool welcome Hearts to Anfield on Thursday evening as they aim to book their place in the Europa League group stages. With a 1-0 win at Tynecastle it's the Reds who hold the advantage but the tie is far from over. After a strong performance against Manchester City (minus those silly mistakes) Liverpool are in a more comfortable position going into this fixture compared to the match at Hearts which was played after Liverpool had fell to a 3-0 defeat. Brendan Rodgers will surely look to make some changes to the side that lined up against Manchester City. Daniel Agger may feature after serving his ban and also new signing Nuri Sahin may get his first chance to impress the Anfield faithful. Raheem Sterling is the starlet on everyone's lips at the moment and although some people feel he may not start due to playing the whole 90 minutes at the weekend I think there's a very big chance we'll be seeing him Thursday night. It was a poor start for Brendan Rodgers on Saturday as his Liverpool side fell to a 3-0 defeat at the hands of Steve Clarke's West Brom. A contrasting first half for the Reds made it look like a victory was possible even when Gera netted a peach but in the second half things went from bad to worse after Daniel Agger was given his marching orders. Brendan started a very good side including both new signings; Borini and Allen. Gerrard was slotted in behind Suarez and Borini but this wasn't a set formation with Suarez and Borini often interchanging or dropping back on some occasions. Kelly was in for Enrique who apparently has a small injury. Gomel will be the opposition at Anfield on Thursday evening as Brendan Rodgers looks to send Liverpool through to the next round of the Europa League in his first match as manager in front of the Kop. The first leg ended in a Liverpool win after Stewart Downing found the back of the net but it wasn't an easy victory for the Reds as Gomel provided the defence with several problems. Perhaps the unpredictability played into their hands but it is always dangerous to underestimate the opposition. With the home crowd behind Liverpool though and the magic of Anfield you have to feel the home side will wrap this one up and in a more successful manner. Liverpool ended their last league game at Anfield this season in style with a 4-1 win over Chelsea. They say revenge is a dish best served cold but the Reds were on fire yesterday as they redeemed themselves after Chelsea won in the Cup. Chelsea manager di Matteo started a changed side due to the fact his team face Bayern Munich in a few days time for the Champions League final. The Londoners could have been fighting for 4th spot in the league if they'd have won this fixture but obviously they decided the final was more important. Liverpool went with Carroll and Suarez up front and missing were Gerrard and Enrique who had minor injuries. Liverpool started the game in a completely opposite fashion in comparison to their start at Wembley. The Reds clearly had a point to prove and fair enough, Chelsea had a weakened side but it still didn't excuse their defending. As if you didn't know there's an FA Cup Final on Saturday and Liverpool are only bloody well in it! After successfully knocking out Everton in the semi finals the Reds are ready to square up against Di Matteo's Chelsea at Wembley. Liverpool's league form this season has been pretty terrible and so for most fans the past few weeks have just consisted of Wembley dreams. After winning the Carling Cup at Wembley, we've already had a taste of the glory and beating Chelsea in the FA Cup final would surely top this. Luckily for Liverpool Dalglish has no shock injuries or suspensions to worry about with only Lucas and Adam unavailable. Chelsea are without Luiz and Cahill but don't have any other concerns. The last time the two sides met almost coincidentally was in the League Cup. In November Liverpool put two past the London side with Maxi Rodriguez and Martin Kelly on the score sheet. Liverpool travel to the Stadium Of Light on Saturday to face a renewed Sunderland side. Martin O'Neill's side are almost unrecognisable compared to the side Steve Bruce was managing earlier in the season and Liverpool will surely be looking for a victory in a game which they drew at the start of the season. That's right folks, the fixtures are at the reverse stage. It's annoying that instead of watching it in 30 degrees heat in an Irish bar in Majorca that I'll have to watch it in my living room this time out though! Liverpool are without Daniel Agger for this clash but Steven Gerrard and Glen Johnson are expected to be back in the line up. For Sunderland they are without Cattermole and Sessegnon who are both serving bans and Richardson is also a doubt for the black cats. Sunderland's last game saw them pick up a point in the Tyne & Wear derby. Before that though, they fell to a shocking defeat when Roy Hodgson's West Bromwich Albion beat them 4-0. Arsenal make the long trip up North on Saturday to face a Liverpool side coming off the back of a brilliant win in the League Cup. The Reds beat Cardiff on penalties at Wembley but are now being brought back down to earth with the challenge of trying to take 3 points from Arsene Wenger's boys. Team news contains a blow for Liverpool who will be without the immense Daniel Agger for a few weeks after he cracked a rib in the League Cup Final. 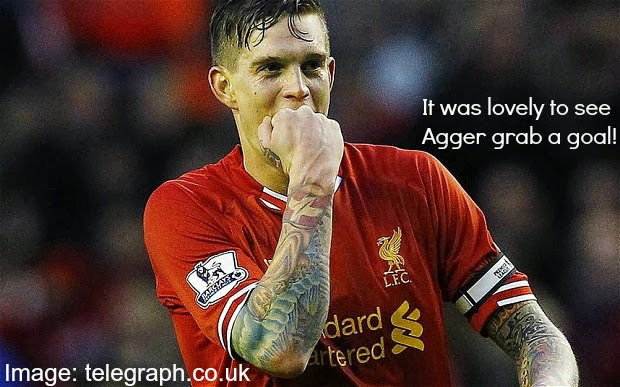 Jamie Carragher will more than likely take Agger's place. Steven Gerrard also has a doubt hanging over him after he had to come off early in the England friendly against the Netherlands. Arsenal are also in a spot of bother with some questions over the fitness of van Persie, Rosicky and Vermaelen. The last time the two sides met was in August and Liverpool came away from the Emirates with a 2-0 win. We have to go back to January 2007 to find an Arsenal win at Anfield and so on paper the Reds would be favoured to get a result on Saturday.